If you’re looking to hold a company seminar or family get-together in a wonderful setting, choose the Yelloh! 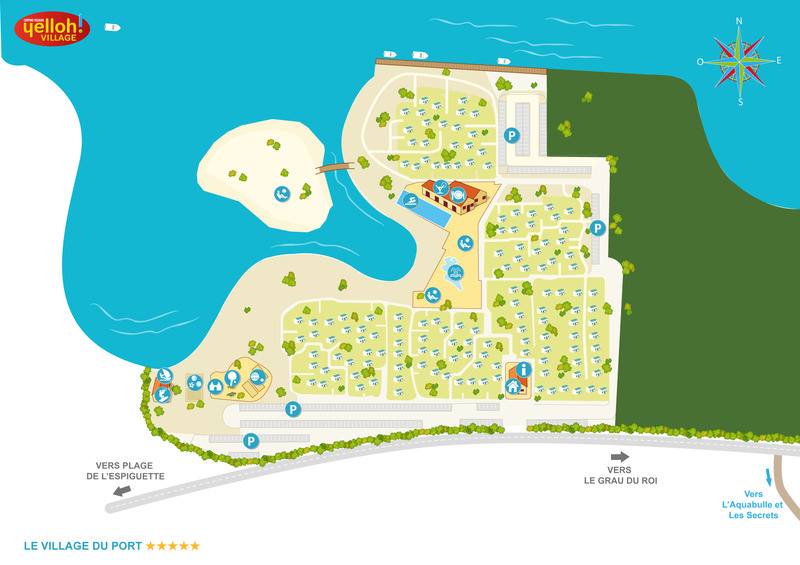 Village Le Village du Port, where you’ll find really high quality accommodation and facilities! If you need to rent a room, our partner La Capitainerie has various options, plus large reception areas, top-end professional equipment and tailor-made services available. So if you need your event to be a success, step this way! A team who are at your service to make sure you’re happy! When you hold your next public or private event, whether it’s a company seminar, sports weekend or wedding, place your trust in the Yelloh! Village Le Village du Port and its partner La Capitainerie. The whole team is at your disposal for advice and for helping you to deal with your projects. To make organising your events that much simpler, reception is open 24 hours a day. Looking for a reception venue? Le Grau du Roi is the place! With our partner, La Capitainerie, just 5km from the village, this makes for the perfect location! And when it comes to what you’ll find once you arrive here, you’ve got no fewer than 5 rooms and an area of more than 1,000m². The reception room has amazing views over the harbour and bay of Aigues-Mortes, making for even more pleasing events! But that’s not all! You’ve also got top-end equipment, including furniture, sound system, stage, video projector and catering facilities. You’ll soon see that everything’s been thought out to make sure your events run impeccably! At the Yelloh! Village Le Village du Port, you can be sure that everyone will be happy! An idyllic setting right in the heart of the Camargue sounds nice, doesn’t it? On-site you’ll find 160 rental options with 2 and 3 bedroom apartments in a pedestrianised area. You’ve got all sorts of great features here: end of stay cleaning, Wi-Fi, TV and air conditioning. You’ll also have access to various facilities and activities in the campsite, including the restaurant, a 360m² heated swimming pool with aquasplash for the kids, a boulodrome, kitesurfing and paddleboarding lessons. So enjoy a combination of the useful and the pleasant when you hold your event at the Village du Port. Please specify the number of people, the dates required, the type of event and any special requirements.